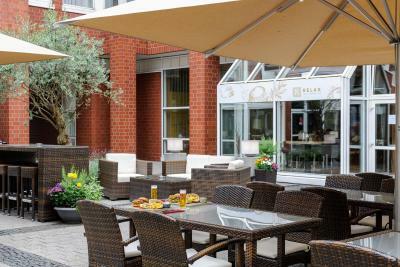 Lock in a great price for Mercure Hotel Severinshof Köln City – rated 8.5 by recent guests! Location was great. Very clean, and the bar and restaurant downstairs was great. Staff was very friendly. The breakfast is excellent, and the location is extremely convenient for my purposes. Room was really cosy and comfortable. Hotel was accessible to public transport and taxi stop. Very nice hotel, with really great bar in the lobby! I was upgraded to a suite. It was gorgeous. Received complimentary sparkling water every day. Lovely spot and just slightly away from the touristy area so much calmer, relaxed neighbourhood. Everything was at superlative. From cleaning to staff, all was perfect. I will came back! Convenient walk to the chocolate museum. Easy to get to different places like the gothic cathedral and Ludwig Museum just by walking. Great location to stay in! Staff was very friendly! Greeted nicely and even accommodated for my early and late check in! Cleaning of the room was great! No complaints! There is a metro station literally at the front door of the hotel. There is printing service (free of charge) for people in need (to print their boarding passes). The room is spacious and clean, equipped with all necessary amenities. 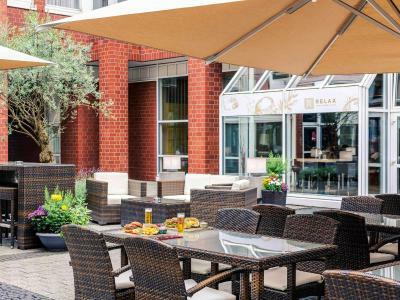 Mercure Hotel Severinshof Köln City This rating is a reflection of how the property compares to the industry standard when it comes to price, facilities and services available. It's based on a self-evaluation by the property. Use this rating to help choose your stay! 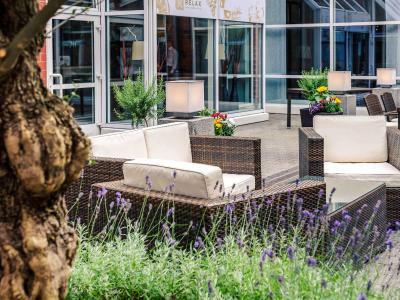 This centrally located, 4-star hotel is a 15-minute walk from Cologne’s Old Town and Main Train Station. 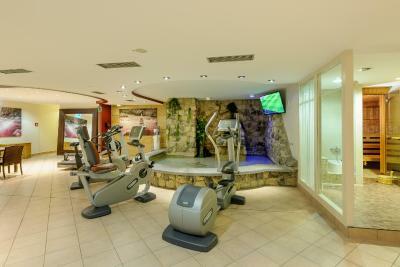 It offers a restaurant, a spa and modern rooms with satellite TV. 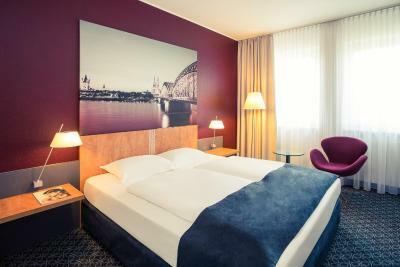 Just 30 feet from Severinstrasse Underground Station, the Mercure Hotel Severinshof Köln City offers bright and spacious rooms, each with work desk and mini-bar. WiFi access is available. 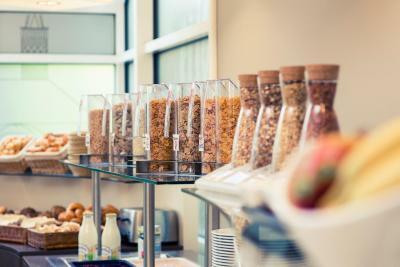 A rich and varied breakfast buffet is provided at Mercure Severinshof Köln. 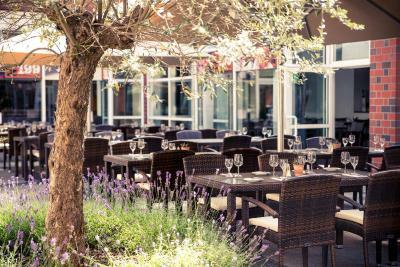 The restaurant with terrace serves German and international dishes. The "RELAX - Food, Drinks and You Lounge" shows sports events on a large screen. 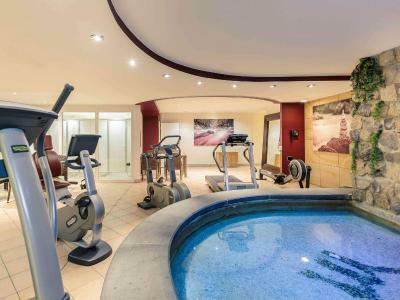 The spa at the Mercure Severinshof offers a sauna, gym and massages. Severinstrasse Underground Station is just 2 stops from Lanxess Arena and 3 stops from KölnMesse Exhibition Center. Parking spaces are available at the hotel. 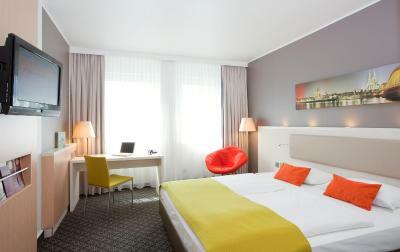 When would you like to stay at Mercure Hotel Severinshof Köln City? Air-conditioned room with satellite TV, a desk and a private bathroom. This large room features a balcony and a luxurious bathroom with soft bathrobe. Guests also enjoy free daily newspapers, mineral water and tea/coffee facilities. Spacious air-conditioned suite with satellite TV, a desk and a private bathroom. 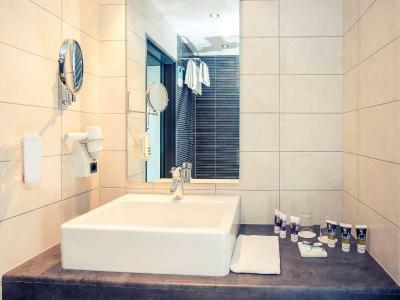 This suite features a separate living room and a luxurious bathroom with soft bathrobe. 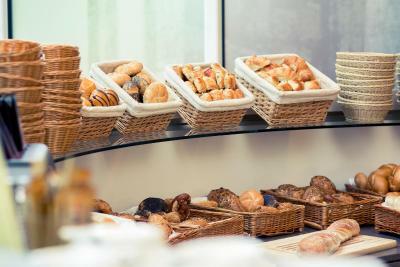 Guests also enjoy free daily newspapers, mineral water and tea/coffee facilities. 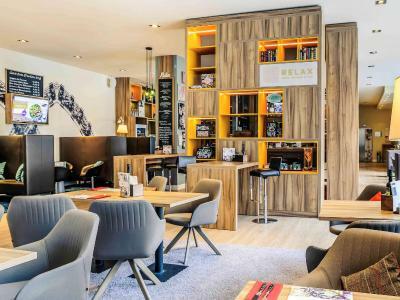 House Rules Mercure Hotel Severinshof Köln City takes special requests – add in the next step! 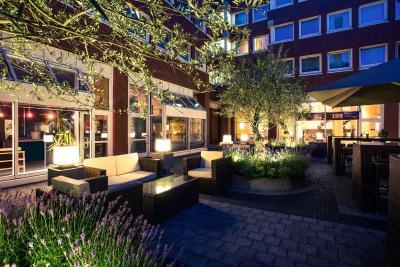 Mercure Hotel Severinshof Köln City accepts these cards and reserves the right to temporarily hold an amount prior to arrival. Very friendly Staff. I asked for a vegan breakfast, which seemed to be no problem and was very delicious. Nice hotel with friendly and helpful staff. 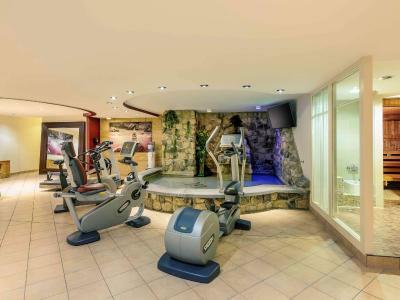 Great to have a gym and sauna available for ise. Our suite was much larger than expected which was a pleasant surprise. The location is quiet and is right beside public transit lines, and it pretty walkable to the busier areas. Many thanks to Front Office Manager! staff there are very friendly and helped me a lot on filling in the city tax exemption form. They were so rude to me during check out. Oh! I still remember the supervisor talking to me without looking to my face... repeating: Somebody has to pay 1.60€!! ... As if I were a thief! All because of 1.60€ cost of a phone call made by them in my name instead of me to order a pizza. It's ok to charge for that, but you have to explain it during check out. I was not very happy to pay either way since in every hotel that's something you expect from the desk in a foreign county... But instead of recognizing the events: They said that I pay that call instead of them, which wasn't true. They call for me because I do not speak German! So rude! I couldn't always log into the WIFI there. The process is a bit complicated for me. It is very interesting that the Minibar has not the local beer (Kölsch), you get only in the Hotel bar. This is huge negativ Point, since the local beer is very famous and should be offered at all time. I bought the beer next door in a Little shop, since they have also all brands one likes. Ideally situated on the southern edge of the old town. Great area of Severin, which had great places to eat and drink away from the main tourist haunts. There is nothing I dislike. Everything is good. The breakfast was great. The staffs were professional. There was some traffic noise, but it didn't worry us too much. Weird noise during the 1st night in the room (room 262), maybe pipes? Bit of a smoky smell when coming in, but quickly evaporated once the windows were opened. I prefer 1 big duvet on a double bed rather than 2 separate ones.